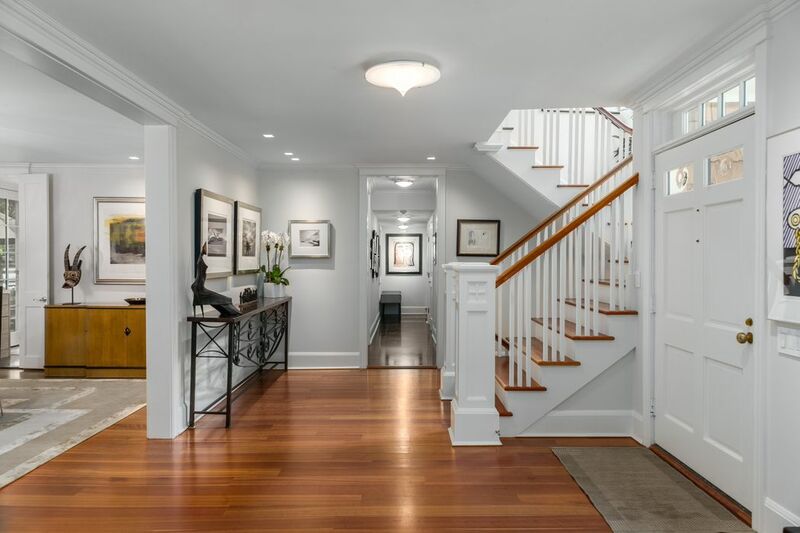 9 Witherell Drive, Greenwich, CT 06831 | Sotheby's International Realty, Inc.
$5,500,000 5 Bedrooms4 Full / 1 Partial Baths5,793 sq. ft. 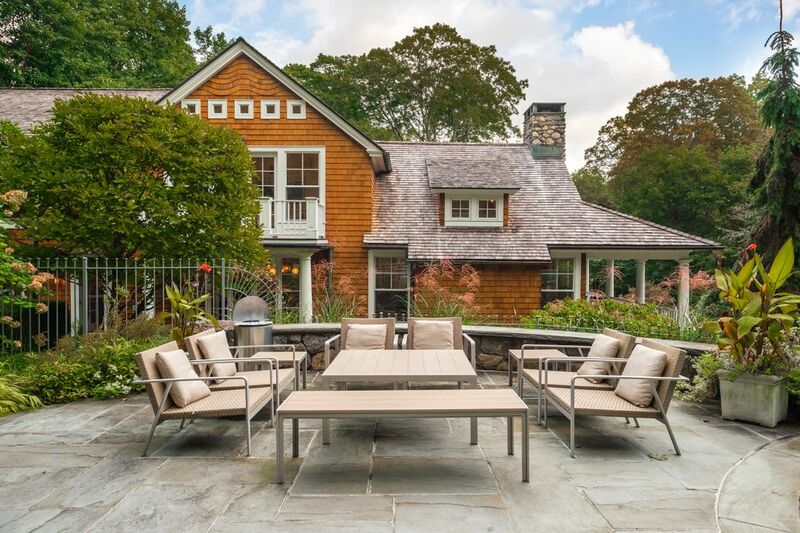 This chic yet timeless home is nestled amid lush greenery on a private lane in coveted Rock Ridge, Greenwich. 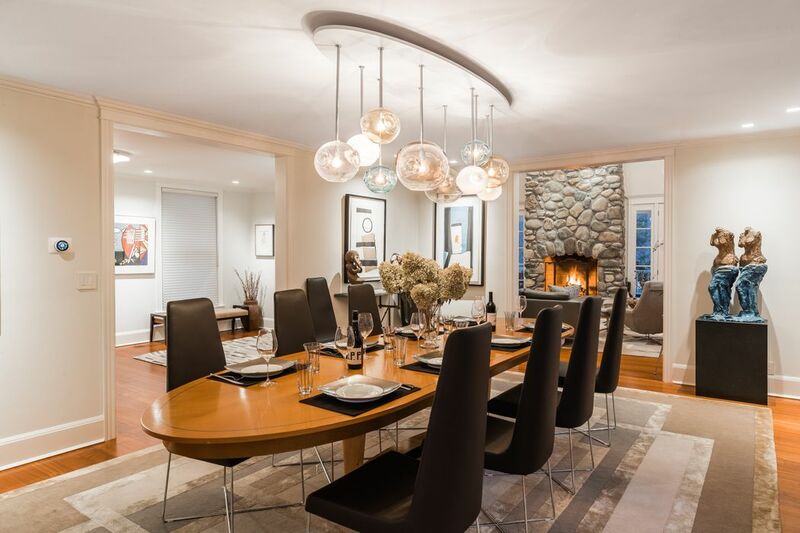 It has been rejuvenated and expanded by architect-owner Richard Granoff to offer 5 (or possibly 6) bedrooms, nearly 6,000 square feet of sophisticated living spaces, and a unique blend of traditional and contemporary styles. 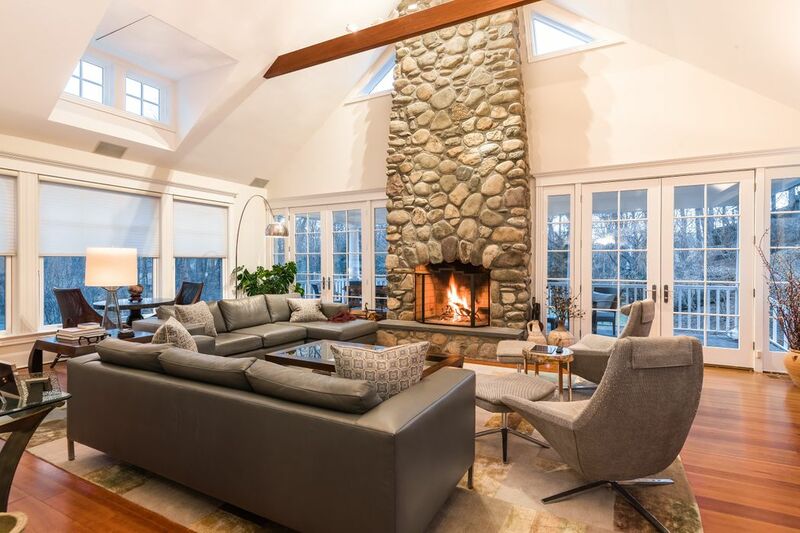 The heart of the home is a great room with over-sized windows, a 20-foot cathedral ceiling, a river-stone fireplace, a projection television/theater system, and French doors to a covered porch. 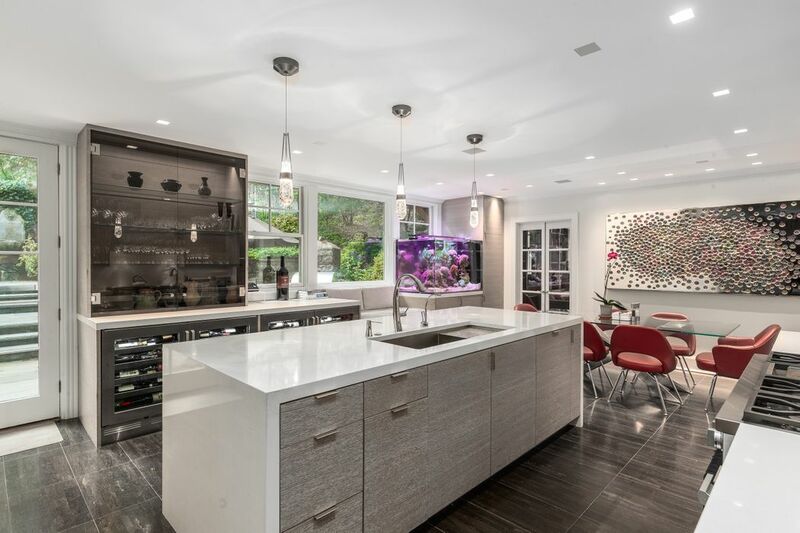 The new kitchen boasts cerused-oak cabinetry, recycled limestone floors, a breakfast area, a Miele range with a Porsche hood, a Miele dishwasher, a Sub-Zero refrigerator, and four Perlick wine refrigerators. Completing the public areas are a den and a banquet-size dining room. 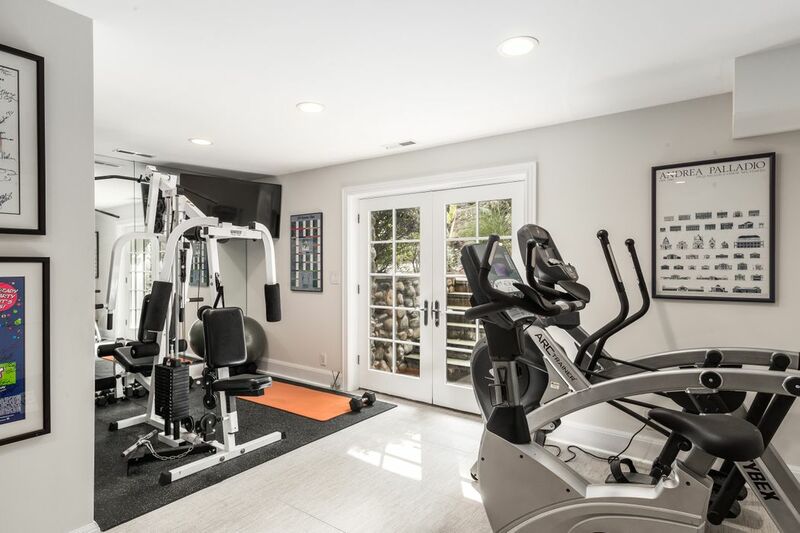 The lower level offers a family/recreation room with an entertainment center, a 1,000-bottle wine cellar, a fitness area, and a bedroom with a new Porcelanosa bath. 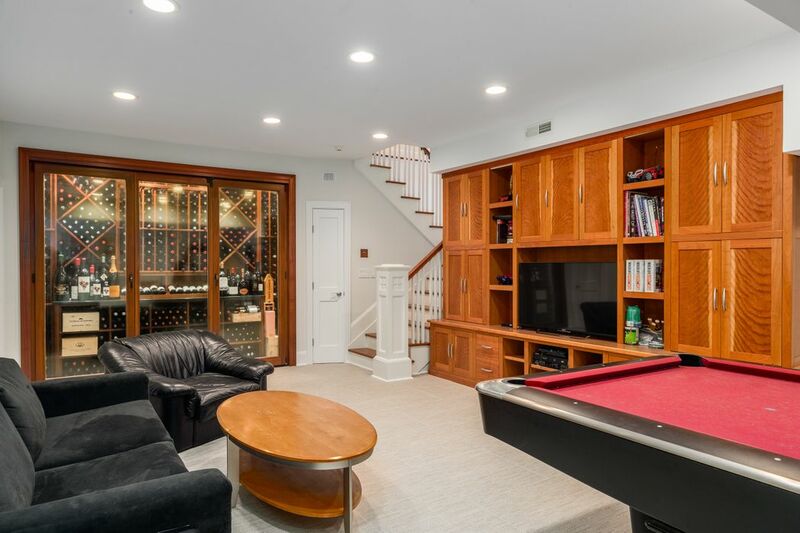 On the second level, the master suite has 18-foot cathedral ceilings, windows and French doors overlooking the backyard, a deck, a sound system, walk-in and wardrobe closets, and a light-filled bath with a shower, wenge vanity, and whirlpool tub. 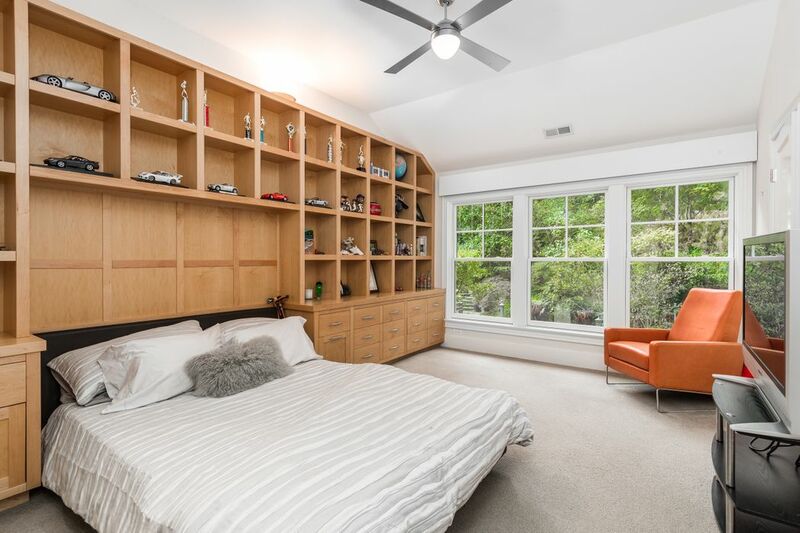 Two family bedrooms feature custom maple cabinets, cubbies, and bookcases; ample closet space; and a shared bath with a stainless-steel vanity and a Waterworks tile shower. 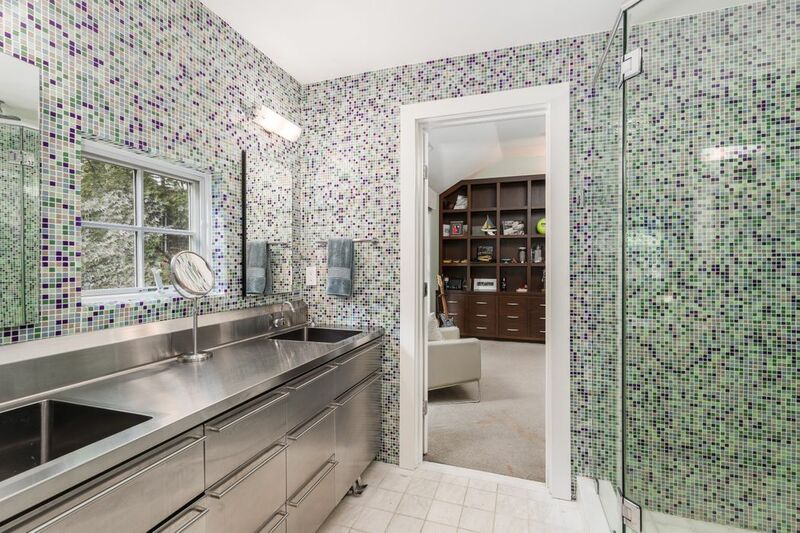 The fourth bedroom is served by a stylish hall bath. Also featured are an upper-level study or sitting area and an office that could be maybe be re-purposed as an additional bedroom. The 1.44-acre grounds boast a free-form pool with a waterfall, a hot tub, a pool house with bath, and flagstone terraces. 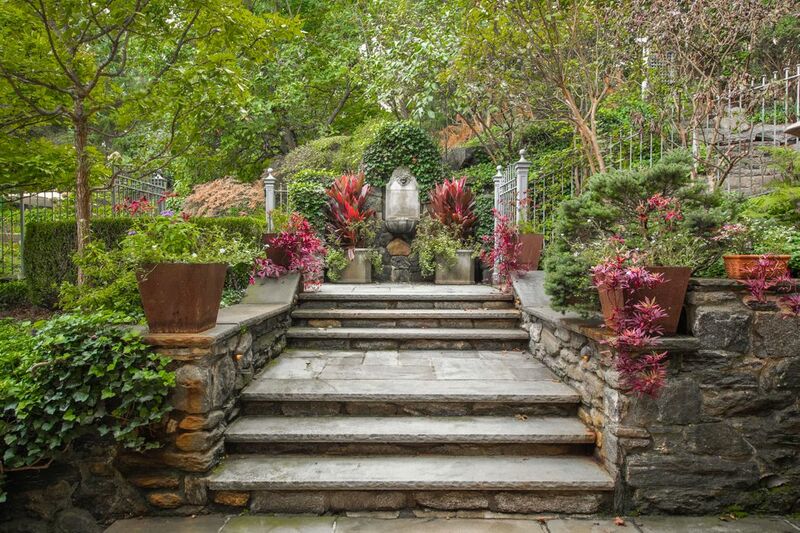 Enveloping it all is colorful irrigated landscaping—including weeping cherry, Japanese maple, dogwood, and beech trees; cypress; viburnum; lilac; and more. Commercial grade Wi-Fi, Savant systems, a Tesla charging station, and a photovoltaic solar collection system. Greenwich Time, "Greenwich Architect Made His Home Into His Castle"